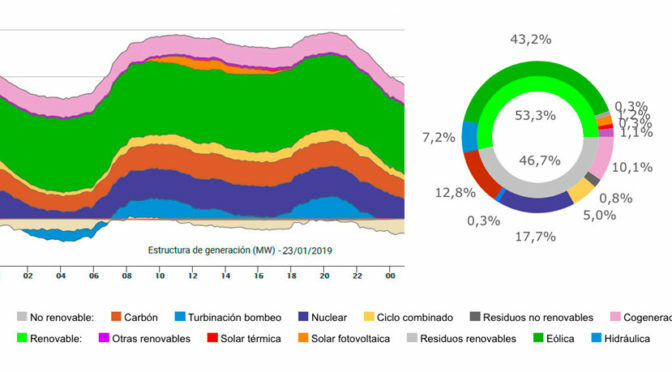 Wind energy generation on January 23, 2019 in Spain marked a new record by producing 367,697 MWh. This represents an increase of 0.6% with respect to the previous maximum, registered on February 12, 2016, the day on which the wind turbines of the peninsular electrical system produced 365,384 MWh. 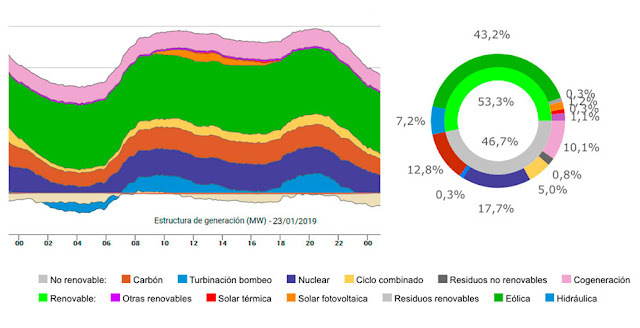 The new wind power generation record accounted for 43.2% of the total Spanish electricity system and thus becomes the leading generation technology of yesterday, followed by nuclear (17.7%) and coal (12, 8%), according to the provisional data published today by Red Eléctrica de España. During the day yesterday, when the wind energy was the protagonist of the peninsular electrical system, the set of renewables represented 53.3% of the generation mix and clean technologies (which do not emit CO2 into the atmosphere) contributed 71, 3% of the total. At 16:55 hours on January 23, the moment with the highest wind power production of the day was recorded, at which time the wind power allowed the integration of 16,633 MW of wind in the system. Between 4:00 p.m. and 5:00 p.m., the hour of greatest production of wind power was recorded, in which they produced 16,456 MWh, equivalent to 45.8% of the total hourly generation. Overcoming previous brands of wind farm generation would not be possible without the development of technologies that facilitate the maximum use of wind power and without the efforts to increase the installed capacity of wind power, which according to data from the closing of 2018 of Red Eléctrica, it stands at 23,041 MW in the Spanish electricity system. 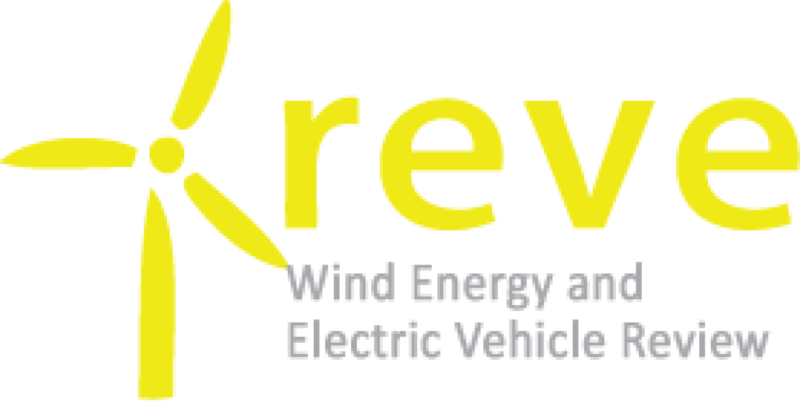 The new renewables will have to increase in the environment of 5,000 MW each year until 2030 as part of the energy transition, in order to meet the decarbonisation and fight against climate change objectives set by the European Union, which include that 32% of the final energy consumed is of renewable origin.